Building a computer used to be a complicated process where careful selection of delicate parts was a necessity. When that collection of components finally booted for the first time, it was a triumphant experience. Knowing how to build a computer made you quite the tech-head. Nowadays it’s easier than ever, with clear standards of compatibility, obvious choices for performance and value, and an actual building process that’s straightforward and well documented. That said, there are pitfalls to avoid and assumptions experienced builders make that newcomers won’t know. 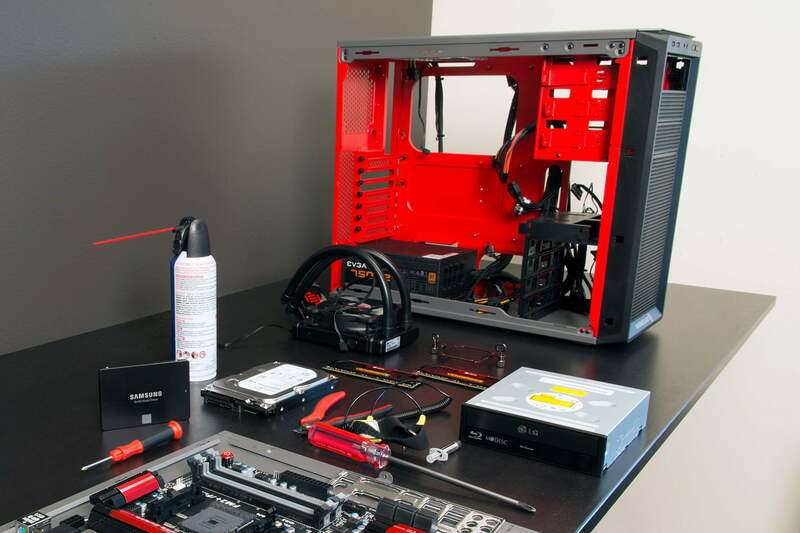 To help out new PC builders and experienced enthusiasts alike, we’ve compiled this handy step-by-step guide that will take you from a pile of parts to a working computer in just a couple of hours. This guide is all about putting your components together. If you haven’t selected and purchased all the hardware you need, stop reading and go check out our PC build guide, which outlines the recommended components for a variety of builds. Have your parts? Good. Let’s get started. 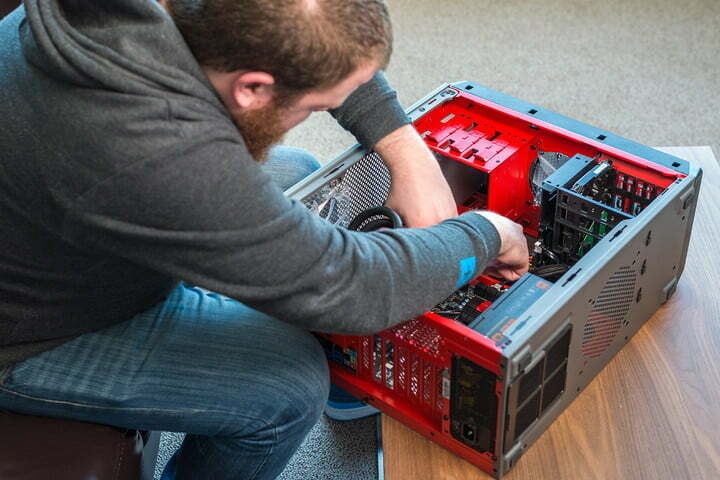 Before you dig in, ensure there’s a clean workspace with plenty of room to open boxes and put parts together. Hopefully, there’s already a pile of them in front of you, but if not, our PC build guide can walk you through that process. There are a couple of safety issues to discuss before we actually start ripping open those boxes. There’s an invisible risk when building a computer that can crush the most powerful system: Static electricity. The same force that lets you shock your friends when you wear wool socks can also fry components in a heartbeat. Fortunately, it’s easy to all but eliminate with a few simple steps. One easy solution is to purchase an anti-static wristband. 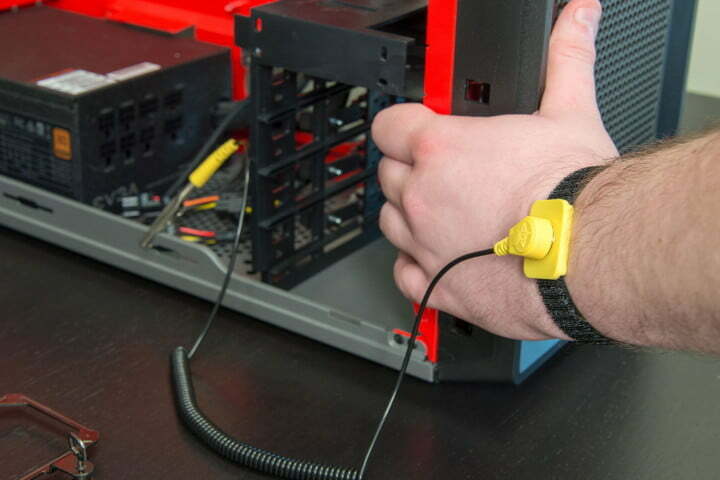 One end wraps around your wrist, and the other clips somewhere on the computer case, keeping the wearer constantly grounded. Touching the case frequently with the PSU plugged in, but turned off, achieves the same effect. Apart from that, it helps to build in a room with a bare floor — carpets generate a lot of static — and wear rubber-soled shoes rather than socks. Many components are packaged in anti-static bags, and it’s a good idea to leave them there until just before installation. Building a PC for the first time can be a little tricky, but the good news is there are many resources to help. People who like building computers don’t often get the opportunity. If you have an enthusiast friend, they may jump at the chance to help put it together. This guide is meant as a general overview of the process, and the instructions your parts came with may vary from our suggestions. When they do, default to the included instructions, and use our guide as a roadmap for the whole project. Preparing the case is the easy part. The instructions should introduce you to the basic layout of your case, as well as offer up special instructions regarding component installation. Lay the case in your work area and remove the side panel that provides access to the interior. For most cases, this means the left-side panel (as viewed from the front). Also remove anything that’s dangling inside the case, or if it’s attached, push it aside. Many cases have permanent internal wiring that can become a hassle later. Before we start putting other parts together, we’re going to install the power supply, and then set the case aside for a few minutes. 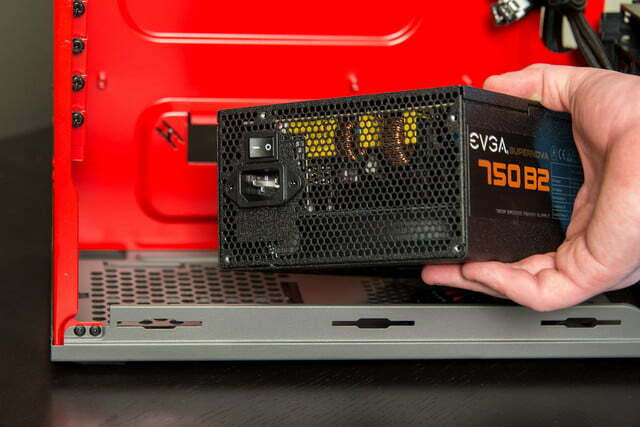 The first component to make its way into the case should be the power supply, or PSU as it’s more often called. Typically located at the rear of the case, usually in the bottom or top corner, the slot is easily located by searching for a square opening. This opening will have screw holes on at least two corners, and the PSU sits in it with a switch and female socket facing outward. Consult your case’s manual if you have trouble finding the proper location. There are two main varieties of power supply: standard and modular (there’s a hybrid semi-modular type too, but we don’t need to worry about that for now). 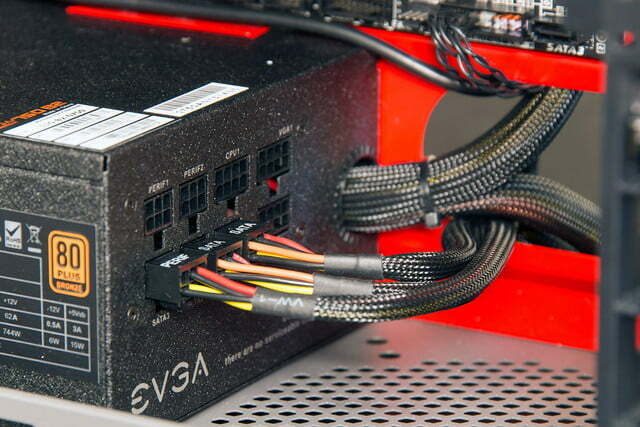 Modular PSUs have cables that detach from the main unit to avoid clutter. They’re ideal for smaller cases and neat freaks. If you have a modular supply, it’s best to leave the cables out for now and run them as you install each additional component. If all the cables are permanently attached, carefully bundle them up so they’re hanging out the open side panel of the case, for now. This will keep them out of the way while we install the rest of the components.